Are you too old to DJ? 4 reasons why that's BS and what to do about it. Age is nothing but a number, however, in a culture obsessed with youth, it can make a difference. If you’re a late starter, your family or friends can reject the notion that you’d ever be good at it, at this point in your life. Most DJs they know, started in their teens. Or, they judge your choice, with the hedonistic lifestyle it attracts and worry about the bad influence you may have on the little ones in the fam. And then there’s this stereotype of being told you’re too old to deal with computers in this digital age. Perhaps your partner got pregnant and you decided to stop Djing after more than 20 years behind the decks, to focus on the family. So, should you get back to it or are you too old? When you take to DJing at a mature age, you may start to wonder: at what point do you begin to look like that old creepy DJ? 4 reasons why you’re not too old to DJ, and what to do about it. The only limitation to what you can do is the expectation that you place upon yourself. You may be too self-conscious about your age. Music has no age, no sexual preference, doesn't care what color skin you have or gender preference, it’s for everyone. It’s what we believe ourselves, that gets in our way. A healthy, self-empowering mindstyle is vital. A good way to start, is to detect your limiting beliefs. The things you tell yourself - sometimes on a daily basis, that hold you back from truly doing what you want. You could also call them excuses, because, in the end, that’s what they are - excuses NOT to do something. It lets you off the hook. Easy. And then you complain about something that you had control over in the first place. Let’s break that vicious cycle. # Make a list of the areas in your life where you feel challenged. You can download this free, fun template to help you along! # Make a list of the things that you find challenging in each area. My technical skills aren’t good enough. I don’t have (enough) time. It’s not at the right level yet. I should be happy to be given this opportunity. # Examine where your limiting beliefs are coming from. What are the sources of your limiting beliefs? It may be something you heard your parents say all the time, or perhaps it’s an experience from your adulthood, something a friend told you and you believed it to be true, a bad experience that keeps you from stepping outside your comfort zone. # Observe your limiting beliefs and choose again. Look, it’s really simple. At some point, you chose to let external sources and circumstances define your feelings, so, you can choose again. Lasting change starts internally, with things like energy, willpower, clarity, and passion; and as your internal resources start to grow, your external resources will naturally start to grow as well. 2. You don’t have a plan: Once you have a clear vision of what you want and when you want it, you can take action,with effect! Be clear with yourself about what you want to achieve and then have a clear plan that you will follow to get there. You have to be connected to the scene that you plan on playing to. For example, if you’re not part of a certain scene anymore and you’re not aware of what is trending in that scene, or no longer interested in it, then don’t look for gigs there. One more thing: be persistent, Rome wasn’t built in a day, we all know that. And building relationships and networks takes time. Just like dating, you don’t want to rush things. You won’t just decide to move in together on the first date, right? # Think about why you’re doing what you’re doing. If you’re not clear on your why, how can others understand why you’re doing what you’re doing? Tie that in with your most important values. In the end, that’s what motivates you on a deeper level. 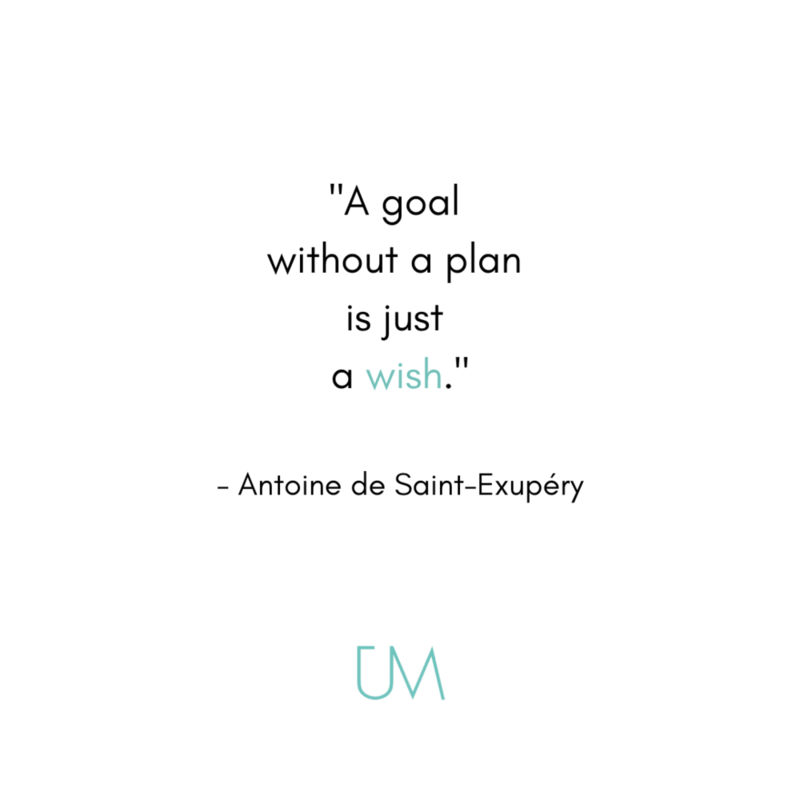 Write down at least 5 goals and set deadlines for each of them. Put them on your calendar. If it’s not planned, it’s not real! # Break down your goal into smaller chunks. Once you’ve chosen your goals, start defining action steps you need to take for each goal. If you break up a goal into smaller steps, you’ll be more likely to actually get to work and do it. Remember to also set deadlines for each action step! It will help you to hold yourself accountable. Being older comes with advantages! One of them being that you can leverage life experience and knowledge younger DJs might not have yet. You’ve had more time on this planet after all. It takes getting to a certain age to learn to be kind to yourself, to drop self-judgement and censorship and to allow yourself to be happy. We don’t do this enough and it’s so important! Look back at all the things you’ve achieved so far and be genuinely grateful for these accomplishments. Skim through your calendar and have a look at the past 6 months. It’s insane what you forget about sometimes and you’ll discover events you went to, projects you’ve launched, gigs you’ve landed, etc. that you can be damn proud of! Remember to do this regularly to give yourself a confidence boost. This will help you to be grateful for every opportunity that comes you way and to make sure you give it your best. It is true that nightlife and DJing go hand in hand, but let’s not confuse going out clubbing until the wee hours with DJing professionally. You can be smart about it and consciously choose to separate the two, so that you can get your beauty sleep and not disrupt the plans you’ve made for the day after. The hardest part isn't that you feel old when DJing, it's that you may not be out as much on your nights off like you used to be. Going out clubbing can help with networking and research. You hear what other DJs are playing, you can experience how crowds respond and discover new, different locations and it helps you to stay current on music. That can give you an extra edge and it requires work. But not doing all that won’t make you any less of DJ. You just need to manage your lifestyle choices in a smart way and that all starts in your mind. What is mindstyle in music? Once you learn how to consciously shape and put your well-being first, you’re able to erase the “killer” effects a hedonistic lifestyle in the music industry can have. You can kickstart your journey whenever you want and how you want. You have the power to choose the best support for you. Whatever floats your boat really! In a holistic approach, the possibilities are endless - ranging from yoga, coaching, reiki, sound healing, breath work, ayurveda, the list can go on. Here at The Unicorn Mothership, the focus lies on personal and transpersonal coaching through a variety of possibilities. Again, also here, the choice is yours! If you like a personal, customised approach and someone who helps you to dig deep within a preset timeframe and need closer guidance to help you to create your own mindstyle - someone to hold your hand all the way, so to speak, then you should consider 1:1 coaching. After that, you’ve got all the self-help tools you need to fly solo and feel more equipped to make conscious decisions for your life and your career. Some people just need a short, sharp nudge in the right direction, whenever they see fit. A sparring partner who will help them correct course quickly and easily. In that case, you have a flexible, first-aid solution to your acute issues. Another possibility is community support. You like an independent approach to self-help and you like to surround yourself with others so that you can learn at your own pace and with the support of humans who are in the same boat, or shall I say, on the same Ship? There so much more to say about this topic. Share your thoughts in the comments section below. Or share this post with your friends on social media and discover what they have to say about it!